“There is still a window of time. 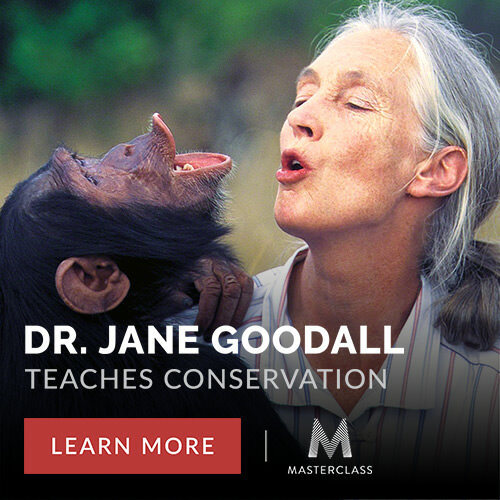 Nature can win if we give her a chance.” In her first ever online class, Dr Jane Goodall teaches how you can conserve the environment. She also shares her research on the behavioural patterns of chimpanzees and what they taught her about conservation. You’ll learn how to “act locally” and protect the planet. Masterclass is compensating FFON for the endorsement. However, any fees received will be reinvested into The Frightened Face of Nature website, to enable more people to play a part in protecting our planet and its inhabitants.